NEW YORK – (RealEstateRama) — Attorney General Eric T. Schneiderman today announced $20 million in new funding, to be administered by Local Initiatives Support Corporation (LISC) and Enterprise Community Partners, Inc. (Enterprise), for New York State land banks that are working to protect homeowners and neighborhoods across the state by acquiring blighted homes and transforming them into community assets. 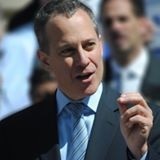 Since 2013, A.G. Schneiderman has provided more than $33 million to land banks with funding secured through settlements with the nation’s largest banks over misconduct that contributed to the housing crisis. This latest funding, made possible by settlements announced earlier this year with Morgan Stanley and Goldman Sachs, will be offered through a competitive Request for Proposals to the state’s original 10 land banks, as well as the newest eight land banks which have formed in the last year and which are located primarily in rural communities throughout upstate New York. By stabilizing, renovating, or demolishing formerly blighted properties, the New York State land banks are saving an estimated $19 million in property value for surrounding homes, according to estimates by the A.G.’s office. This estimation is based on the average housing density and property values for the counties covered by each land bank, and on a study of property value loss for homes within 500 feet of blighted properties. Applications are due on November 30th, 2016, and award notifications will be made by December 2016. During the decade of the housing boom and bust, from 2000 to 2010, the number of vacant properties in New York State increased 27%. Following the collapse of the housing market, the New York State Legislature passed a law in 2011 establishing land banks — nonprofit organizations that can acquire vacant, abandoned, or foreclosed properties and rebuild, demolish, or redesign them. By restoring vacant or abandoned properties, land banks lower costs for local governments, benefit public schools, reduce crime and boost local economies. However, the legislation that authorized land banks in New York did not provide funding for them. Attorney General Schneiderman launched the Land Bank Community Revitalization Initiative to fill that gap and allow land banks to fulfill their purpose. Since 2013, the A.G.’s office has dedicated $33 million to fund that initiative. In 2014, the Attorney General’s bill to expand the number of land banks from 10 to 20 was passed by the Legislature and signed into law by the Governor. Abandoned and vacant properties depress property values, discourage property ownership, and attract criminal activity, but land banks provide tools to quickly turn these properties back into assets that reinvest in the community’s long-term vision for its neighborhood. Land bank programs act as an economic and community development tool to revitalize distressed neighborhoods and business districts. Land banks can benefit urban schools, improve tax revenues, expand housing opportunities, remove public nuisances, assist in crime prevention and promote economic development. By transferring vacant and abandoned properties to responsible land owners, local governments benefit because they avoid the significant cost burden of property maintenance, such as mowing and snow removal. In addition, local governments benefit from increased revenue because the new owners pay taxes on the properties. In turn, local schools benefit because they receive more funding when there is an increase in the number of property owners in their school districts. Land bank programs can also increase the variety of mixed-income housing offered and provide more opportunities for affordable housing. Land bank properties that become owner-occupied discourage criminal activity, benefiting public safety and decreasing the cost burden on local police and fire departments. Finally, the more residents and businesses that occupy property in a neighborhood, the more services and amenities will be needed, which boosts local economic activity. The Attorney General’s office has partnered with Enterprise Community Partners to assist with the oversight and management of the Land Bank Community Revitalization Initiative. Enterprise is a national affordable housing nonprofit with more than 30 years of experience creating and advocating for affordable homes in thriving communities.